Join Jove Wang and this engaging demo brought to you by Studio B Gallery. Jove Wang was born in China. 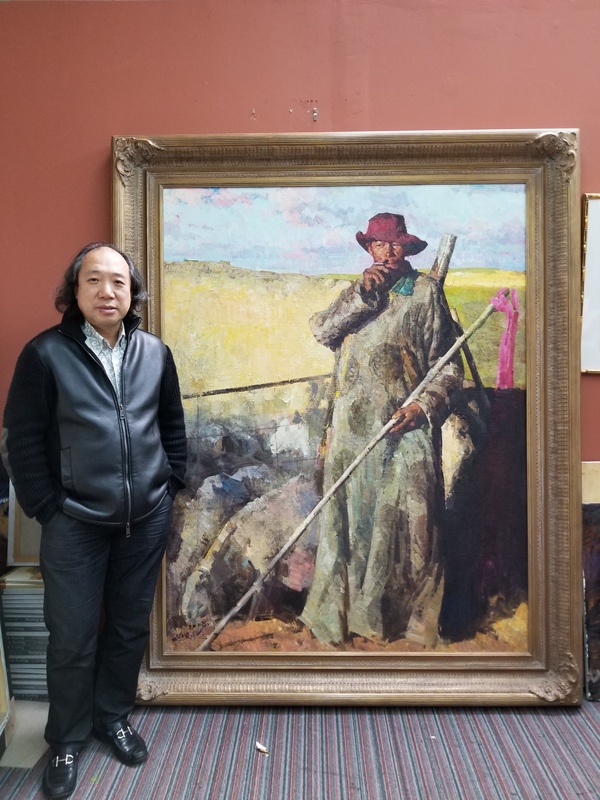 As a youth, at age seven he apprenticed with the master painter Gang Gu, subsequently studying at Jilin School of Art for three years and graduating in 1982. He was accepted into the most prestigious art institute of China, Zhejiang Academy of Fine Arts (now named the China Academy of Art) and graduated as an honor student in 1988. He also received professional training from the Tokyo Academy of Fine Arts. he was commissioned to paint a portrait of Bishop Roger Mahony for the Archdiocese Catholic Center in Los Angeles, and the following year painted a second portrait of Mahony, who by then had been named Cardinal, for exhibition at his Titular Church in Rome. other commissioned portraits included Los Angeles County Supervisor Michael Antonorich. he has turned his focus to painting scenes of the indigenous cultures of China, based on numerous travels into the far reaches of that country. Wang published a book of his paintings, entitled "Instinct and Feeling." Interviews and reproductions of his paintings have appeared in various magazines including Southwest Art, American Art Collector, Workshop and American Artist. he has been invited to teach oil painting workshops at various art schools and galleries including the Scottsdale Artists’ School in Scottsdale, Arizona. he has been invited by the California Art Club to give demonstrations and lectures at the new campus of the Art Center College of Design, Pasadena and at the Autry Museum. Wang is also a guest professor at several academies of fine art in China. Jove Wang is a Signature Member of the California Art Club.